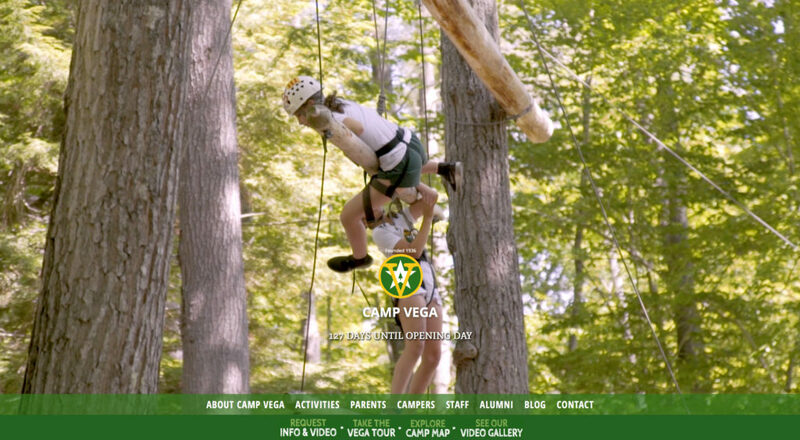 Camp Vega needed a redesign as their site was built all in Flash. We designed their first site and then a few years later, moved onto their second redesign building it responsive using the WordPress platform, a content management system. This was over a 60 page site so a lot of focus was organizing the content, finding out requirements, and creating wireframes of the multiple templates this site needed. 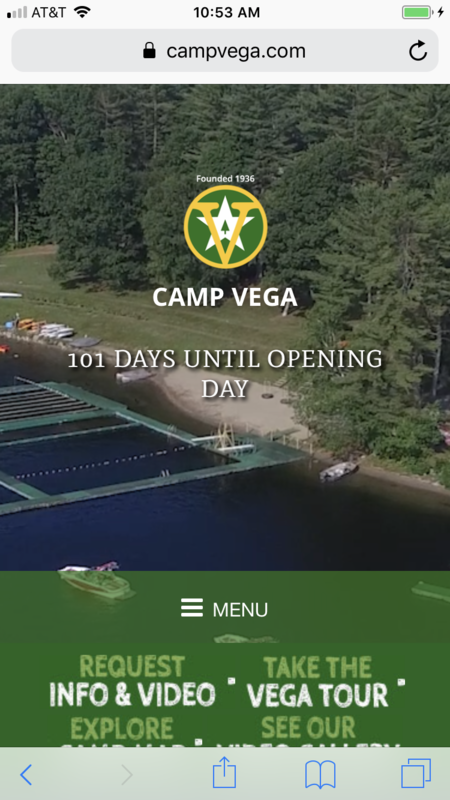 After a long process, sketching several paper prototypes for this large website, designing several layouts, and launching the site, Camp Vega was up for a 2015 Award in the website category. 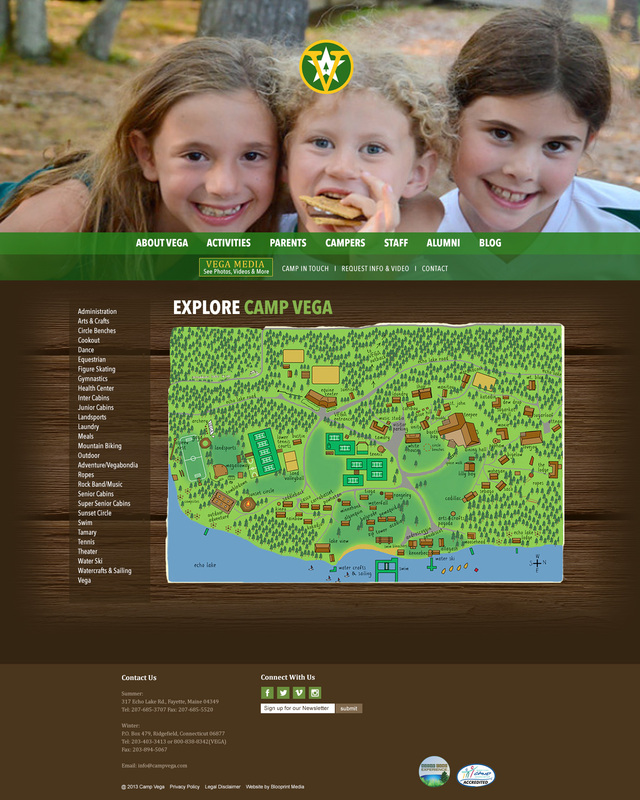 An interactive camp map was integrated into the site as well as small interactive game. Their were several of us who teamed up on this part of the process. 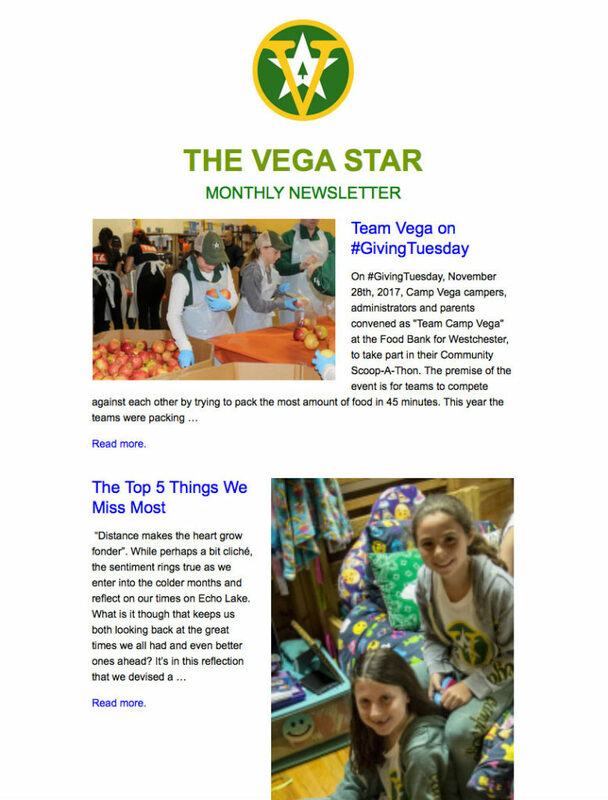 Once the site was in development, a newsletter, and other customizations for use in social media were designed.